Get a ticket to either of the decks of the iconic TOKYO SKYTREE® and get with it a TOKYO Solamachi® coupon! 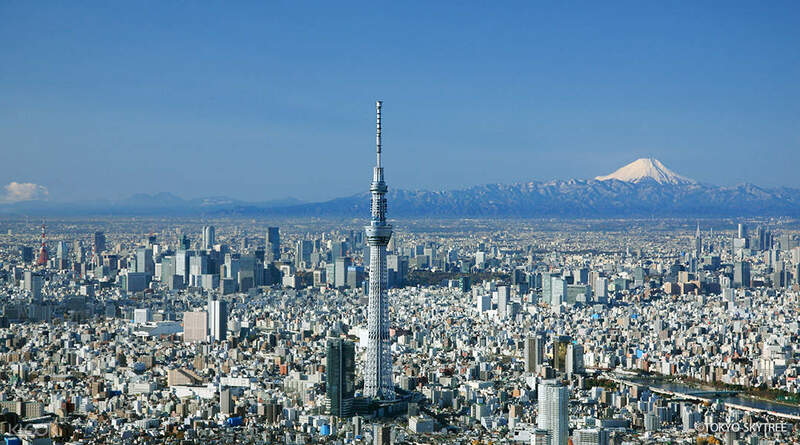 After seeing the views, you can use your TOKYO Solamachi® coupon worth JPY1000 and go shopping! Enhance your Tokyo Skytree activity with a Tembo Deck and Galleria fast ticket! Combine your Tokyo Skytree experiences with an EKIMISE Asakusa food voucher, a Sumida Aquarium experience or a Cheese Garden snack voucher! had a great expirience at Tokyo Skytree thanks to this! There are amazing sights to enjoy from up high and down below with this combo ticket that takes you to both TOKYO SKYTREE® and TOKYO Solamachi® shopping area below. 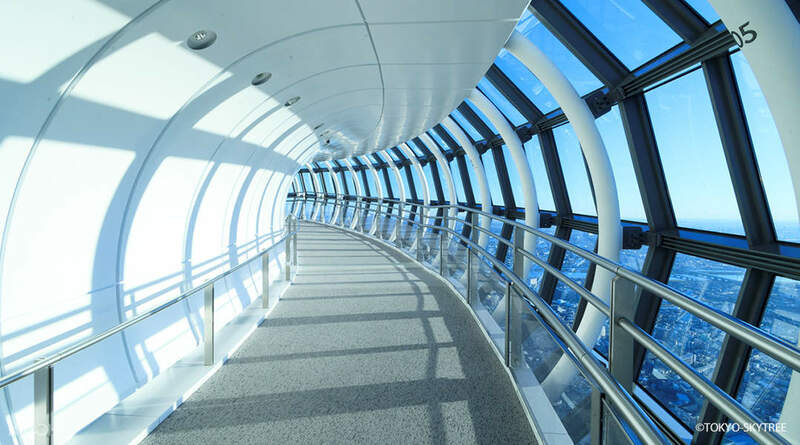 Opt for a ticket that takes you to the 350m or 450m observation decks of the iconic TOKYO SKYTREE® and get an unmatched, 360-degree view of the Tokyo Metropolis. 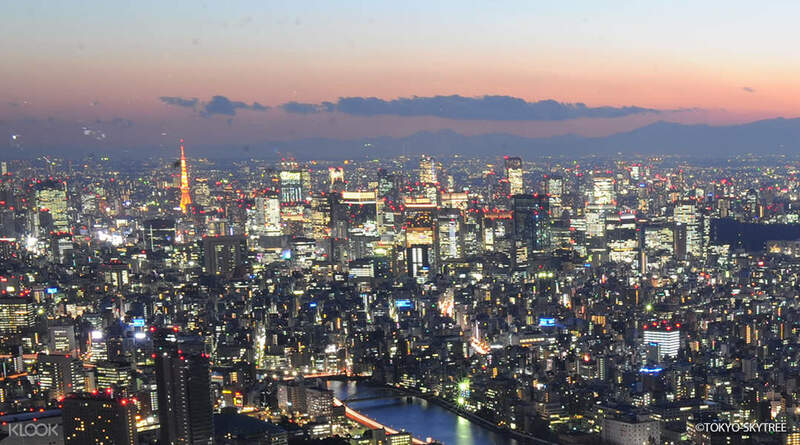 In the mornings, you might get a chance to see Mount Fuji rising from the distance, and in the evening, Tokyo is illuminated by millions of lights. After you've seen your fill of the views, you can head back down to the base to TOKYO Solamachi®, an immense shopping area with over 300 stores for you to visit and enjoy! From fashion stops to hobby and characters stores and numerous restaurants, this is a shopping district that could keep you busy for hours. You'll receive a shopping coupon worth JPY1000 to keep your shopping spree going! The package also comes with a free Tobu Railway Section Limited 1-Day Pass, making your travel to and from the TOKYO SKYTREE® even easier. It's the perfect combo to see the iconic TOKYO SKYTREE®. 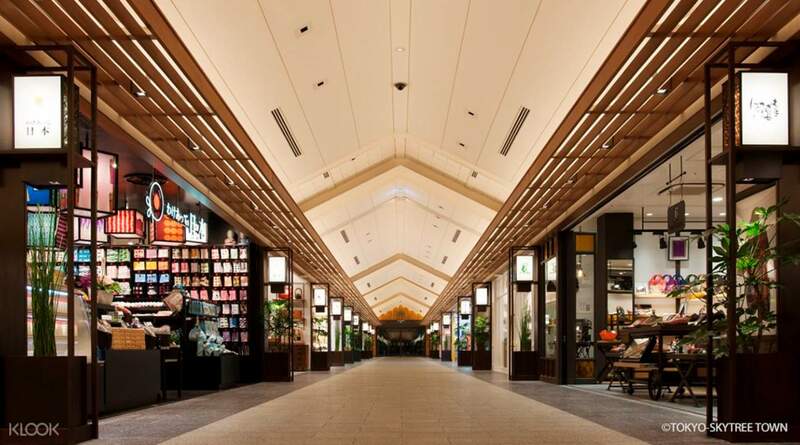 Explore the multitude of stores in the TOKYO Solamachi® and get a coupon worth JPY1000 to spend! Please exchange your voucher for the tickets and coupon at the TOBU Tourist Information Center Asakusa. It was very fun in DisneySea. Good for both family groups and just adults. I recommend to get fast passes for each ride. You can get one every two hours. Get journey to the center of the earth fast pass first. It was very fun in DisneySea. Good for both family groups and just adults. I recommend to get fast passes for each ride. You can get one every two hours. Get journey to the center of the earth fast pass first. Great experience! Had to locate the Tobu office at Asakusa station which wasn’t too hard. Got the vouchers and it was a breeze from there. Bypassed the line, went up to the top and got some great pictures. Great experience! Had to locate the Tobu office at Asakusa station which wasn’t too hard. Got the vouchers and it was a breeze from there. Bypassed the line, went up to the top and got some great pictures. fantastic views and vintage pictorials of tokyo & wonderful array of souveniers! fantastic views and vintage pictorials of tokyo & wonderful array of souveniers! The tour to the tower is really nice. We can see beautiful scenes from the skyline. However, the place to get the tickets is a little bit far from the tower itself, although it’s in the JR station. The tour to the tower is really nice. We can see beautiful scenes from the skyline. However, the place to get the tickets is a little bit far from the tower itself, although it’s in the JR station. easy and convenient booking in Klook. I collect all my ticket at tokyo Skytree line station and they explain to me direction to go to the tower. easy and convenient booking in Klook. I collect all my ticket at tokyo Skytree line station and they explain to me direction to go to the tower. Enjoyed the little Christmas town at the bottom of the tower! There are lots of shopping options at Tokyo Solamachi. There’s a Pokemon center for fans yey! Enjoyed the little Christmas town at the bottom of the tower! There are lots of shopping options at Tokyo Solamachi. There’s a Pokemon center for fans yey! Easily redeemed as per instructions given. Captured beautiful sunset. If you love shopping, there is quite a good range of shops. Particularly love the Takara Tomy shop where we can find authentic and unique train tracks and trains! Easily redeemed as per instructions given. Captured beautiful sunset. If you love shopping, there is quite a good range of shops. Particularly love the Takara Tomy shop where we can find authentic and unique train tracks and trains! Make sure you go to tourist information center to exchange your vouchers for sky tree, subway/train and 2x 500 yen tickets. The transaction was smooth for us. You just showed the QR code on your cellphone. This was the first time we used klook and we will use it again in the future for sure. Make sure you go to tourist information center to exchange your vouchers for sky tree, subway/train and 2x 500 yen tickets. The transaction was smooth for us. You just showed the QR code on your cellphone. This was the first time we used klook and we will use it again in the future for sure. The claiming of voucher was hassle-free! The view from both Tembo Deck and Tembo Galleria will leave you speechless. The 1000 yen voucher was also useful!! The claiming of voucher was hassle-free! The view from both Tembo Deck and Tembo Galleria will leave you speechless. The 1000 yen voucher was also useful! !